Eat’N’Go Limited, is adding new facilities across several cities in Nigeria as part of its massive expansion project in 2019. The launch of new facilities at new locations nationwide reinforces the brand’s dedication to bringing the best global food brands and concepts to Nigeria and Africa at large. Following a successful year in 2018, Eat’N’Go has expanded its presence in seven states in Nigeria – Lagos, Abuja, Oyo, Ogun, and Rivers – adding Kwara and Akure in only Q1 of 2019, and aims to deliver new outlets in the South-South region in Q2. 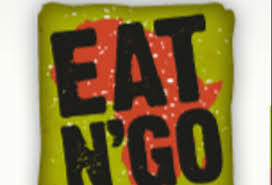 Eat’N’Go is set to open more branches of its brands in Lagos, Enugu, and Abuja in coming months. The establishment of these new stores will further increase the organization’s staff strength from the already existing 2000 staff across board. Eat’N’Go has continued to reinforce its position as the leading food franchisee in Nigeria as it not only spreads, but constantly upgrades the quality and services of its brands. The launch of the new outlets are in line with the company’s plans to further expand its physical outlets up to 50 per cent a year over the next five years, and significantly growing its workforce in Nigeria. The franchisee has continued to show its dedication to bringing the best global food brands and concepts across Nigeria and even beyond.